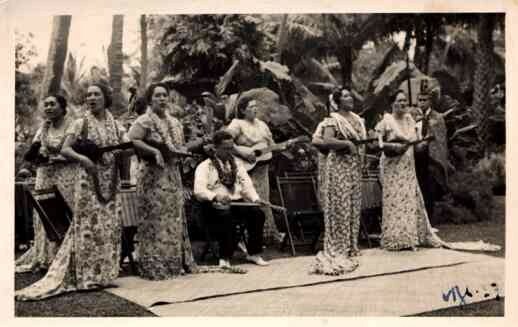 Hawaiian Women With Ukuleles RP - Entertainers - Real Photo - Vintage Postcards | VintagePostcards.com: vintage, old, antique postcards for collectors. The women orchestra. Music, guitar, real photo. Used 1937 San Francisco, California.